FAT, part of the Haco Group, is well established in its’ production of CNC lathes and special purpose machine tools. Founded over 100 years ago and with its own foundry, comprehensive machine shop and sheet metal/paint sections, FAT produces flat-bed and slant-bed lathes from small servo-controlled teaching lathes to heavy duty 4 – shear models. Their experience in various manufacturing sectors has resulted in their ability to design and manufacture special purpose machines for pipe drilling, train bumper machining, grinding rubber shafts and other complex applications. In many cases, robotic loading, overhead gantries and bespoke loading equipment has been supplied as part of a turn-key solution. They have designed and manufactured a large FTM lathe for a customer In Australia. The impressive FTM 1000 x 7500 lathe has been tested and installed with the large lathe now running. This multi-purpose lathe is equipped with a modern milling head, a tool magazine integrated with an automatic tool changer, an exceptionally big spindle bore of 360mm, a special solution for using long boring bars, sub-spindle and other elements which enables efficient and precise machining. This impressive lathe allows the customer the possibility to machine parts up to 7500mm in length and up to 1000mm in diameter. The TUR PMN 710 x 4000 is a highly customised machine and has recently been installed at another manufacturing facility in the world. 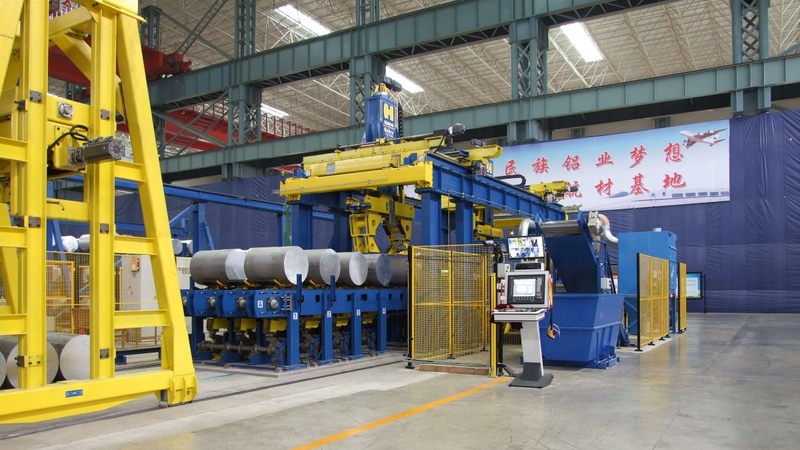 The machine is designed for high efficiency and performance and is equipped with an automated loading system for quick loading and clamping a workpiece. The workpiece is put to the machine through the large spindle-bore and caught by a part-catcher, which are mounted on the travers. This high-quality lathe has a high-speed milling unit that is installed on the back of the machine, on the additional rail. The milling unit has independent drives also, Z and X, controlled as NC axes. This lathe also consists of a 12-position tool turret with driven tools for turning, milling and drilling operations. The machine is equipped with pneumatic follow rest to prevent a ductile workpiece from bending during machining. The follow rest with Teflon inserts is mounted on the saddle. The workpiece is supported by specially designed hydraulic tailstock with large stroke. The quill has built-in bearings system and a flange prepared for mounting a pneumatic chuck or automatic expanding mandrel. Follow us on Twitter and Linkedin or alternatively visit our website for regular product updates.